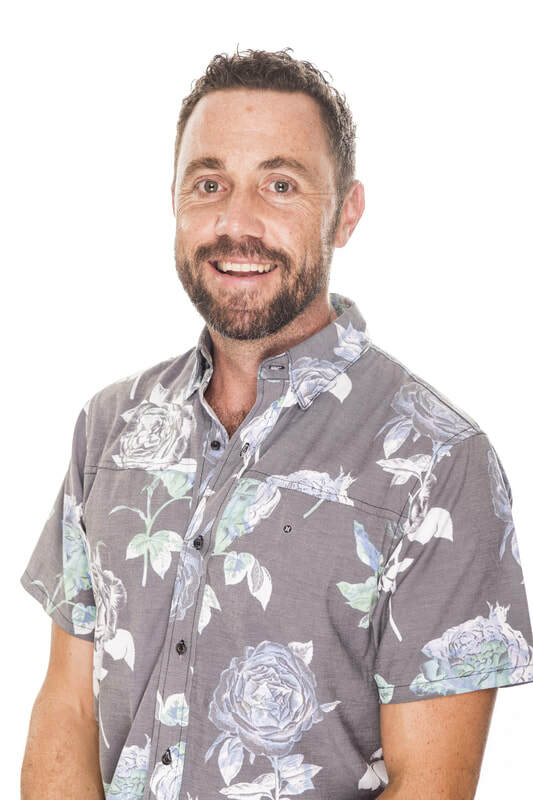 Grant Sinclair is a government registered Osteopath who completed 5 years of university training, before beginning his career as an Osteopath in Brisbane in 2012. Grant moved back to the Northern Rivers in 2014 with his family to open Alstonville Osteopathy and to commence a teaching position with the Osteopathic Faculty at Southern Cross University. A dedicated and enthusiastic Osteopath, Grant developed an interest in Osteopathy from a young age. Whilst playing soccer across Australia and internationally throughout his school years, he maintained his health and fitness with regular Osteopathic treatments. Grant continues to play soccer in the Far North Coast first division team and maintains a passion for understanding how the body moves and functions, from walking and running mechanics to postural patterns and breathing complaints. Grant enjoys treating everyone, from the weekend warrior and trained athlete, to pregnant mums and babies. He looks to identify how Osteopathy can assist you to move and function better by assessing you as a whole and having an awareness of how different areas of the body have an effect on each other. Grant has a variety of techniques which he will use on an individual basis, taking into account the patients presenting complaint and lifestyle factors. His consults involve techniques range from gentle movement and mobilisation, soft tissue massage, dry needling stretching of specific muscle groups and adjustments to more subtle indirect techniques. These techniques are aimed at achieving a change in musculoskeletal structures to initiate the body's ability to begin healing itself. Grant has completed a number of seminars and courses which have added a great depth of experience, tools and techniques to his practice. He is a ProKinetics Insole Provider and has attended courses in Posturology through Northpoint Osteopathy. Northpoint's Pregnancy, Lumbo-pelvic and Heart-Lung Breathing Courses. Josh completed his studies in Osteopathic Medicine from Southern Cross University, graduating with a double Bachelors degree and a Masters in Osteopathic Medicine. Having grown up on the north coast, Josh has a strong appreciation for the holistic nature of health which sparked a passion for body work ten years ago after experiencing firsthand the health benefits. During this time Josh has completed further studies, including paediatrics and pregnancy, the effects breathing has on postural integrity, neck and back pain. This includes a thorough understanding of the psychosomatic aspects of dysfunctional breathing in relation to stress and anxiety. Josh provides a holistic and patient centered treatment. His treatments are a combined approach of structural techniques and Osteopathy in the cranial field, utilising a gentler approach for significant change. Josh is happy to support the whole family's health with experience in all age ranges. Holger Hornum relocated to the area in 2013 to study Osteopathy and has been enamoured ever since of both Osteopathy, and the Northern Rivers region. Now fully registered after 5 years of full-time study, Holger enjoys executing tailor-made osteopathic treatments to persons of all ages. As a Remedial Massage therapist for 7 years, Holger gained experience in treating an array of musculoskeletal conditions. Now equipped with techniques from his formal studies, past clinical experiences and current interests, he incorporates a blend of modalities into his osteopathic treatments. Educated with the latest evidenced-based research into pain science, Holger respects patients’ chronic pain and is eager to find suitable and meaningful approaches to optimise a patient’s treatment outcomes. In the final two years of his study, Holger was involved in a Masters Research Project that focused on the effects of manual therapy on lung function in a middle-aged population with aims to promote healthy aging. During the process, Holger learned invaluable skills as well as the rigors of conducting a randomised control trial. Having had an active youth, participating in various team sports and recreational activities, led Holger to understand the benefits and pitfalls of physical activity. In later life, he learned firsthand the effects of work and life stressors which motivated him to instigate changes in his life and others’ through osteopathy. He now maintains his health by strength and resistance training, running, meditation, healthy eating and yoga. Holger enjoys the holistic ideology that osteopathy fosters and recognises how many modifiable lifestyle factors shape one’s state of health. ​Izzy is a government registered Osteopath who has completed both a Bachelor of Clinical Science and a Masters in Osteopathic Medicine. She studied Osteopathy at Southern Cross University in Lismore, and is currently enjoying being a member of the teaching staff for Human Anatomy and Physiology at the university. Izzy hails from Broken Hill in far-west NSW, stemming from a family of rural contractors who make their living on remote sheep and cattle stations in the surrounding region. Her rural upbringing and passion for animals has inspired plans to expand her Osteopathic education into the equine and canine fields in future years. Izzy realised her desire to become an Osteopath whilst at boarding school in Armidale, where some life experiences prompted her to search outside the square for therapies that dealt with pain management. Since beginning her studies, Izzy has never looked back, finding the integrative nature of Osteopathy awe-inspiring and very rewarding. Matthew Parrish is an experienced and highly skilled Exercise Physiologist, having completed his university studies at Southern Cross University Lismore Campus. ​After completing his studies Matthew moved to Brisbane to establish a highly successful Exercise Physiology practice in early 2012. Which still currently operates, providing a range of specific injury rehabilitation programs, through to sporting performance exercise programs. Being a Northern Rivers local, Matthew has now returned home to the area with his young family to provide exceptional exercise treatment services for the local region. He is covered for Medicare's Chronic Disease Management Plans and Enhanced Primary Care plans by referral fro your G.P. and is also able to treat patients under the Department of Veteran Affairs scheme and private health rebates are available in the clinic. You will be assessed individually to determine the best possible evidence based treatment plan. Terri is also a Registered Midwife with a passion for helping families live a life of health. With three wonderful teenage daughters of her own, she understands the importance of a healthy lifestyle balance and can help you achieve your health goals. Sharni is a university trained Remedial Massage Therapist with over ten years of clinical experience and who is currently completing her Masters in Osteopathic Medicine through Southern Cross University. As the recipient of the Southern Cross University Alumni Scholarship for 2015 & 2016, Sharni is dedicated to her studies to become an Osteopath and brings this experience and dedication to her massage treatments. A member of the Australian Traditional Medicine Society (ATMS), Sharni completes regular courses and certifications to maintain her accreditation and remain up to date with the latest research and developments. From remedial corrective therapy to relaxing Swedish massage or a combination of techniques, Sharni aims to provide you with a therapeutic treatment to suit your needs in a safe and professional environment. Remedial Massage is covered by all health funds and as such we can provide you with a health fund rebate on your treatment. Sharni is currently on maternity leave and not available for treatments. 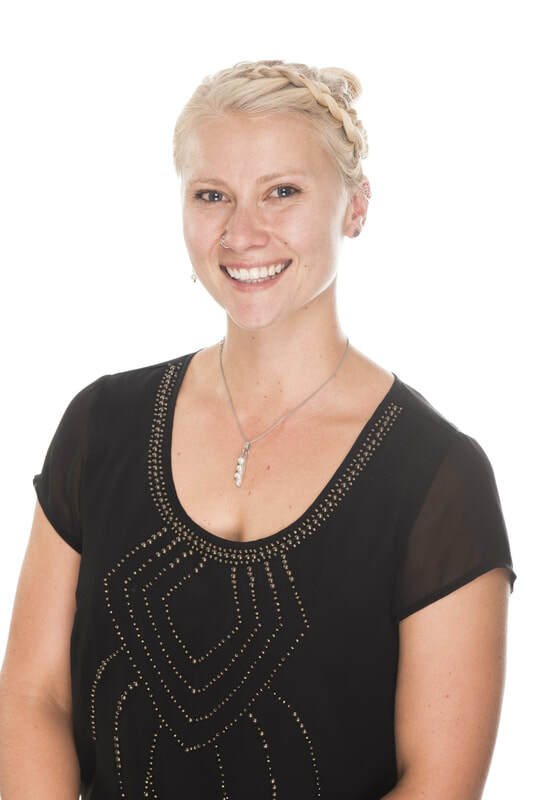 Angela has 15 years of experience in remedial massage and has recently moved to the area to start her degree in Osteopathic Medicine at Southern Cross University. After a weekend introductory course in massage at age 15, Angela discovered a love of natural therapies, going on to complete her Certificate IV in Massage the following year. Following the birth of her two children, she continued her studies to complete a Diploma of Remedial Massage, Diploma of Aromatherapy and a course in Dry Needling. Angela specialises in remedial, relaxation, trigger point therapy, dry needling, lymphatic drainage, aromatherapy, sports, pregnancy and infant massage and looks forward to offering you a unique and individualised massage treatment. Treatments are covered by all health funds. Darby is a very experienced therapist and will be working with us to provide exceptional massage therapy whilst completing his Masters in Osteopathic Medicine at Southern Cross University. Darby has been massaging for a decade within his own business and at numerous retreat spaces around Byron shire. Specialising in Hawaiian style and Thai massage, his fusion is deeply nurturing and physically relieving for sore, injured or tired bodies. Currently studying his Masters in Osteopathic Medicine and deepening his understanding of the human body, he has also had a decade as an Outdoor Educator and Guide around the globe and is passionate about nature time, cooking and maintaining health. He is currently available every Saturday, all day and Wednesday evenings. Health fund rebates do not apply to Darby's treatments. 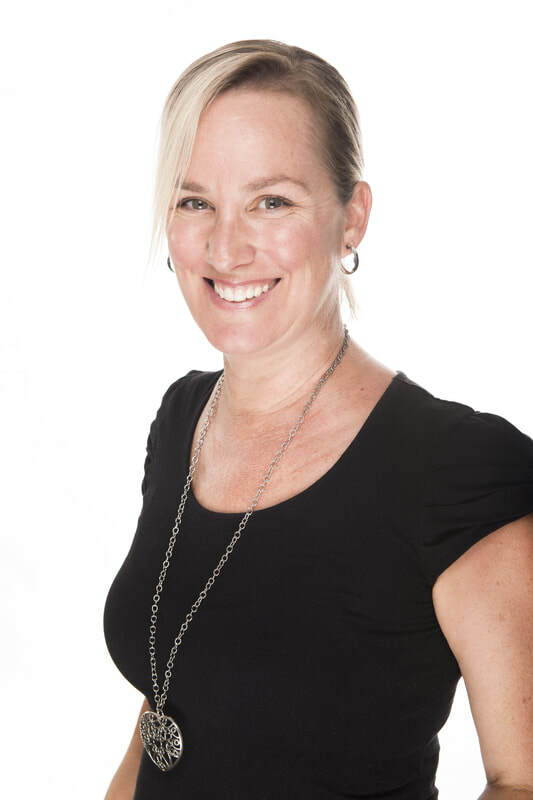 Brydie is originally from the Mornington Peninsula, Victoria and has just recently moved to the Northern Rivers after working as a remedial massage therapist on the Sunshine Coast. After 6 years travelling, Brydie decided to change her career from hospitality, into something she is truly passionate about, helping people move better and feel happier. She has completed her studies in Remedial Massage Therapy and is so excited to see where this industry takes her. Brydie is able to provide many styles of massage including remedial, sports, deep tissue, trigger point therapy, pregnancy, relaxation and passive stretching to help relieve any tension and pain and relax the nervous system. Brydie enjoys the outdoors, surfing, yoga and hanging with her dog Larry! 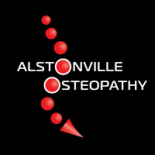 She will be available at Alstonville Osteopathy on Mondays, Tuesdays, Wednesdays, Fridays and Saturdays!! ​Dan has been practising as a Remedial Massage Therapist for 20 years, mostly in South Western Sydney and Wollongong. In that time he has gained a great deal of experience in using massage to treat numerous patient complaints such as neck problems, headaches, back pain, sciatica, shoulder, hip and other joint issues. Dan has also studied many other bodywork modalities such as cranio-sacral therapy, positional release and myofascial release with the view to improving his skill and knowledge of how to treat the human body. Dan has moved to the Northern Rivers to again further his education and is in his 3rd year of Osteopathic studies at Southern Cross University in Lismore. He is in a unique position to bring some of the osteopathic knowledge and skill he has learned into his massage treatments, which greatly enhances the effectiveness of the massage therapy. Dan addresses each patient as an individual and works to achieve the best possible therapeutic result whether it is pain relief, increased ease of movement or simply a reduction in stress levels. Raylene grew up in Alstonville and after a brief move to Brisbane to study Graphic Design, she then moved to Sydney where she worked as a Ticket Writer/Checkout Operator. After five years in Sydney she moved back to Brisbane to study massage. Raylene gained a Diploma in Health Science (Remedial Massage) and worked for 5 years in a Physiotherapy clinic doing both massage and reception. After meeting her Irish husband, they together moved to Dublin for a year, travelled Europe, got married in Vegas and decided to relocate back to Alstonville, where she and Paul are now raising their two beautiful children. We are very lucky to have Raylene at our front desk, she is happy to answer any questions you may have if you're popping past. Alison is the smiling face you will see behind our front desk Wednesdays, Thursdays and Fridays. She has always had an interest in health and wellness and has worked in the local community under medical and other allied health practices for over 8 years. She loves caring and making people feel comfortable when they are feeling at their most vulnerable, and finds the world of Osteopathy and integrative health "really interesting". Alison grew up on the plateau and now lives with her husband and little one in our local community. She will be going on maternity leave to have her second bub soon and will be returning in 2019. She is always happy to assist with any questions you have and looks forward to making your visit to our clinic comfortable. Nicole is working with us in a reception role while she completes her Masters in Osteopathic Medicine at Southern Cross University in Lismore. Her passion for health and wellness was sparked when moving from Europe to our sunny continent in 2010, with her interests ranging from manual therapies to detox therapy and herbal medicine. When she is not working at our clinic you will most likely find Nicole studying for her degree, practicing yoga or providing massage therapy. Feel free to have a chat to her at reception, she would love to help you with any questions you may have regarding your health.